Solas stepped out onto the world stage in 1996, when Irish music was poised at the brink of a new era of innovation and popularity. The five young musicians who made up the band at the time had no idea that they were to be a galvanizing element in the Irish music scene – a lightening rod of talent and inspiration that set new standards for musicianship, repertoire, and intensity. “We thought we were doing a one-off project,” says multi-instrumentalist Seamus Egan with a smile, ten years after the fact. 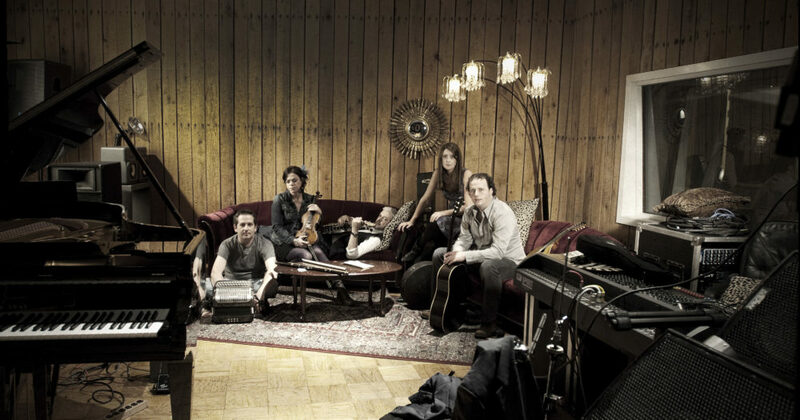 Egan and fiddler Winifred Horan have remained with the band through a decade that has encompassed seven albums and endless international touring and critical acclaim. Inspired by an off-hand comment that 2006 marked ten years as a band, Solas reached out to past members (including John Doyle, John Williams and Karan Casey) to join them in a celebration concert in Philadelphia. After the almost impossible task of coordinating the schedules of touring musicians, the show went off without a hitch and the result became the CD/DVD Reunion: A Decade of Solas, one of the most highly praised Irish music outputs of 2006. In 2008 vocalist Deirdre Scanlan made the difficult decision to step away from the road and Solas. With tours still on the books, Solas was joined by a myriad of the best folk and Irish vocalists on the scene today including Aoife O’Donovan (Crooked Still) to handle lead vocals until a final decision was made. Solas is excited to officially announce the discovery and addition of Kilkenny vocalist Mairead Phelan. Phelan is an All-Ireland champion on flute and whistle and has studied at the Royal Irish Academy of Music in Dublin. Beautifully filling the role carved out by founding vocalist Karan Casey, Phelan brings to Solas an enlivened sense of purpose and a new shine to Solas’ entire vocal repertoire. With Phelan, Solas is putting the finishing touches on a new album, For Love and Laughter due out on Compass Records September 2008.